Rocla has developed a new automated guided vehicle solution with which new customers can benefit from automation for the very first time, as Rocla ART Automated Reach Truck is here to challenge manually operated reach trucks. The unique solution is multipurpose and especially interesting for professionals who are responsible for large warehousing operations. Rocla ART was first introduced at LogiMAT Stuttgart exhibition in February 2019. 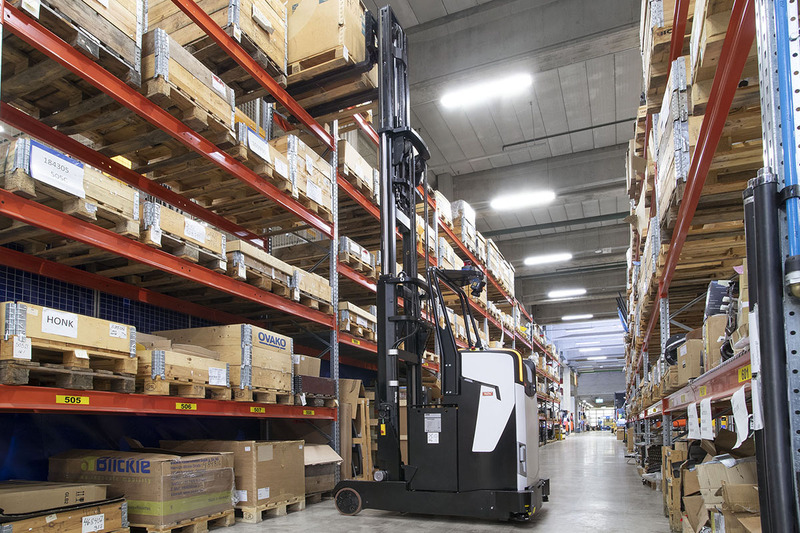 The innovation process of Rocla Automated Reach Truck was triggered by customer needs. Rocla ART is a perfect fit for distribution centers, warehouses, work-in-progress storages and replenishment of active picking locations. Operations in narrow aisles combined with high lifting are challenging, but with Rocla ART this is no longer an issue. Rocla ART is designed for high lifting reach truck applications. The key features of this new innovation are speed, agility and safety. Dynamic safety scanning technology allows it to turn faster in narrow aisles, which improves the load handling time in for instance areas such as 3 meter aisles. Rocla ART is efficient yet safe. Rocla’s Solutions Management Director Kari Johansson presented the new innovation and other AGV developments at LogiMAT in the Innovations Forum on 19.2. Presentation “Rocla brings ART to intralogistics – efficient solution for automated pallet handling” attracted a good number of intralogistics professionals and also members of the press. The leap in LogiMAT visitor numbers was evident and had a positive impact on the number of visitors on Rocla stand. Stand visitors were interested to see new innovation in action. Rocla ART LogiMAT stand demo can be watched via this link. Rocla’s AGV sales team is happy to continue the discussions commenced at LogiMAT, also members of the press are very welcome to contact sales team for any inquiries concerning the new innovation! For more information contact Rocla AGV International Sales at agv [at] rocla.com or +358 20 778 1332.